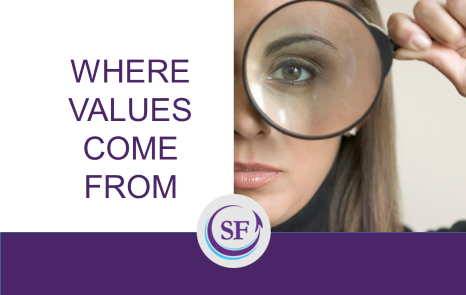 The quality of your values will ultimately be determined by the source of your beliefs. For example, when your beliefs are tied to an expert or authority--whether it's a religious leader, the New York Times, or your parents--your beliefs are only as solid as that authority. When doubt is cast on the source of your beliefs, your derived beliefs are cast in doubt along with any associated values. Fallen role models and discredited authority figures often cause shaken values. I recently witnessed this phenomenon during a speaking event in Russia. I was presenting compelling new research that challenges our basic beliefs about human nature and motivation. A manager asked how these new ideas meshed with Maslow's. I pulled no punches. "Maslow's theory is the most popular theory of motivation in the world. It's also wrong." I went on to explain why (referencing my Harvard Business Review blog on the topic). The challenges came fast and furious. One manager defensively described how he had used Maslow's Hierarchy of Needs for years. The man who originally asked the question sat with arms folded in defiance, shaking his head as if to say, "No way!" These leaders had based their leadership practices on beliefs formed by reading a college textbook about Maslow and his model of motivation. Now I was telling them that the model was never empirically proven--and in fact, Maslow himself never intended for his model to be accepted as a true depiction of human motivation. Maslow posed the hierarchy as a place to begin a new thread of motivation research: Psychological needs versus biological needs. I was asking these leaders to rethink their basic beliefs about motivation and human nature. I was asking them to consider the work of thousands of researchers who've built upon Maslow's work over the past 60 years and disproved it. Letting go of Maslow as their authority figure for motivation and entrusting their beliefs to me and my ideas was not going to be easy. Nor should it be. I encouraged my audience to challenge my model of motivation. Just because I was chosen by their company to present these ideas didn't mean they should automatically embrace them without further examination. Are they based on my experience? Did they come from my parents? Family members? Friends? Social or religious groups? The military? Did they come from another source or authority? Have my beliefs been validated by others? Have I ever challenged my beliefs? Postscript: As people lined up to have me sign my book after my presentation in Russia, I was surprised to see the manager who started the Maslow debate. I admit, I was concerned that I had come on too strong--destroying my own credibility along with Maslow's. He must have read my expression as he explained, "I wanted to thank you for your presentation. You opened my eyes. I don't know what to believe yet. I will read your book and, if it's okay, I'll email you if I have more questions." His simple declaration and request not only allayed my concern but also gave me enormous hope for the future of leadership in his organization--and this part of the world.